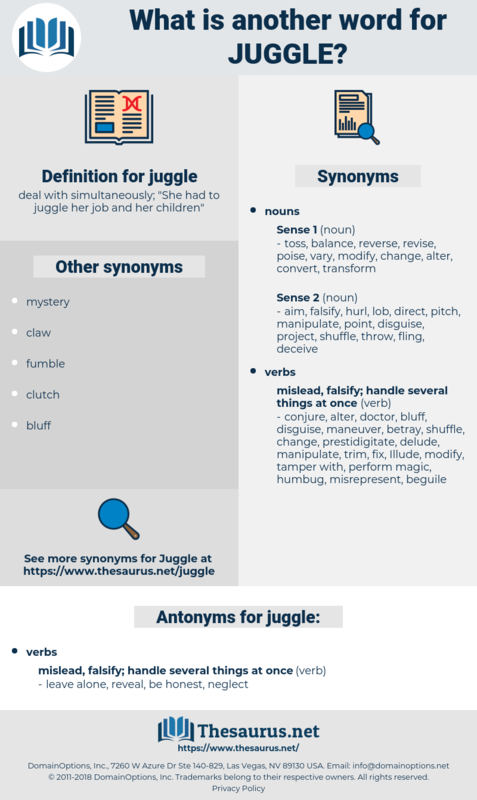 What is another word for juggle? deal with simultaneously; " She had to juggle her job and her children"
be taken up with something. leave alone, reveal, be honest, neglect. You are a book - keeper, mynheer, and you know how to juggle figures. 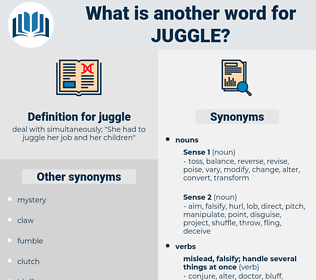 By this infamous juggle they took away, as far as in them lay, the credit due to the proceedings of government. manipulate, cook, handle, manage, fudge, wangle, falsify, deal, care, fake, misrepresent.